End of the journey: Michael Ryan. AFTER FOUR YEARS at the helm, Michael Ryan has stepped down from his post as Westmeath senior hurling manager following his side’s championship exit this evening. They suffered a 2-21 to 0-16 loss at the hands of Wexford at TEG Cusack Park, Mullingar and the Waterford man confirmed the news to the county’s official website after. “I am really proud of all the players,” he said. “It’s been some journey. My journey is at an end now but we’ve had some fantastic days and hopefully the team can go from strength to strength as there’s a good base there now. “It is a sad day. Today is my 501st trip to Mullingar but I enjoyed every bit of it. There’s not just the players — Michael Walsh has been incredible, our two kit men, Martina and all the backroom team, our medical staff. I am so proud of everyone and so delighted. Ryan steered the Lake county the Division 2A league title in 2016, and again the final and the Joe McDonagh Cup decider this year, and seemed a hugely-popular figure among the players. That went both ways, as he echoed his praise for them: “They’re a fantastic bunch of human beings who are so proud to play for Westmeath. Email “After a four-year stint, Michael Ryan steps down as Westmeath hurling boss”. 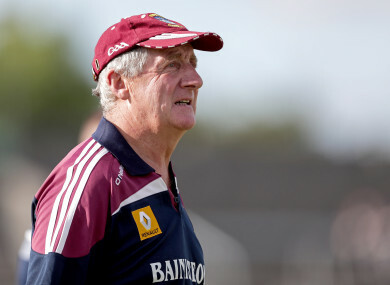 Feedback on “After a four-year stint, Michael Ryan steps down as Westmeath hurling boss”.